LED Cells Tea-light Size powered by removable button batteries. GLOW and flicker almost like a real candle. Ideal for the Health Conscious, Health Care Markets and events in heritage listed buildings. 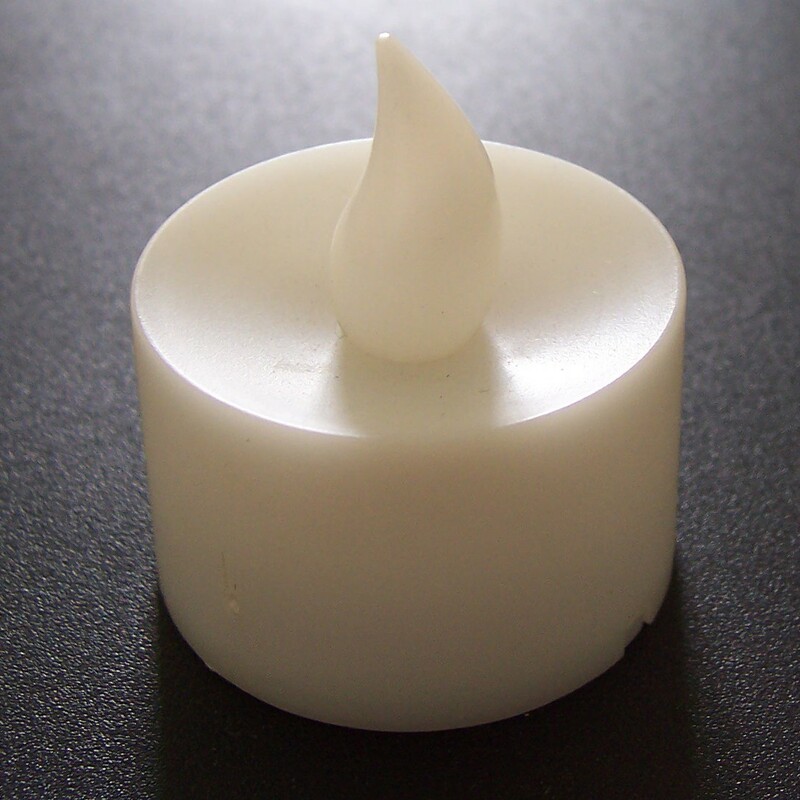 For use in existing tea light holders. Although the photo shows a packet of 6 this item is priced per single piece (includes one button battery giving 30 to 40 hours of light. ).